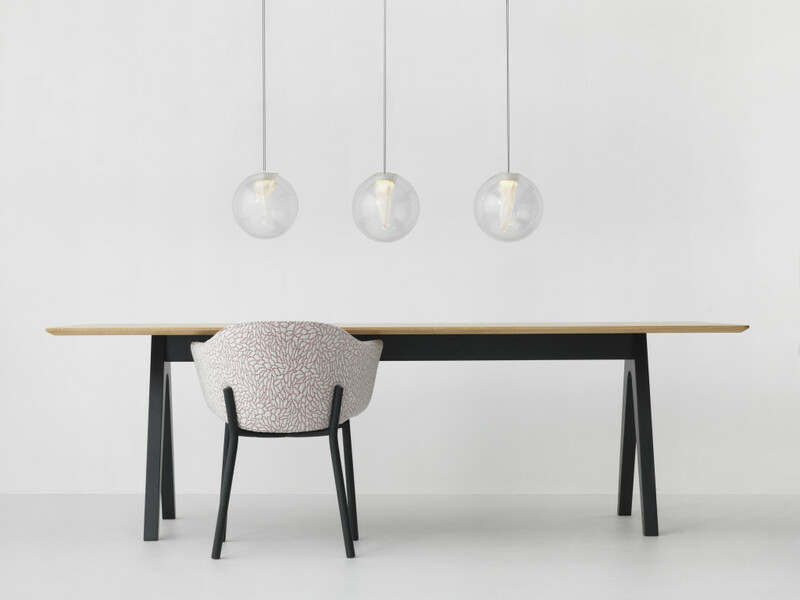 torchon is a pendant that exploits the viscous potential of molten glass. A soft spherical vessel of glass os carefully mouth formed. 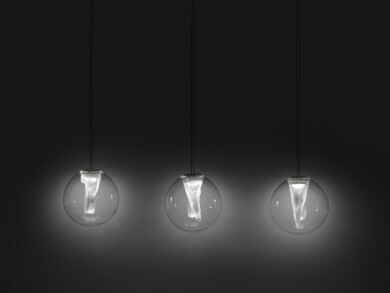 the piece is finished with a wafer-thin bespoke LED lamp, suspended from a pair of super-fine wires.